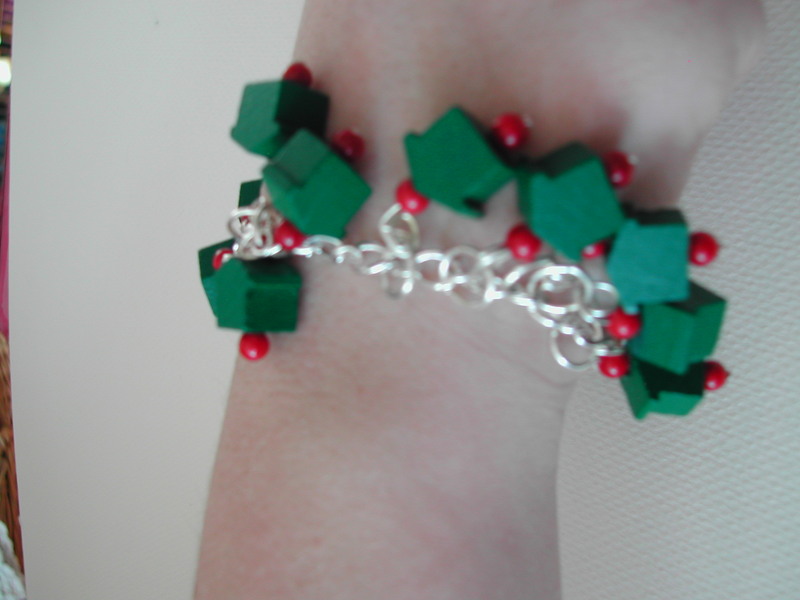 Making bracelets… show your interests! Okay, I just got tired of waiting. I have been working on the big project which was going to be the cornerstone of this blog, but I am still about a week from getting the final hardware and glass shelves. So I thought I’d go ahead and post some of the smaller projects I have already completed. I have been doing projects pretty much all my life, but had taken some time off for the last 12 years or so to concentrate on quilting. From time to time, I will throw some of those into this blog where I have photos. I have given away most I have made and have asked only for photos of the recipient with the quilt as ‘payment’. The best payback is to know that they are loved and used and appreciated. I will add one more note to the beginning of this blog to say that this go ’round with diy’ing and crafts have been kicked off by this lovely website called pinterest.com. I wish I could claim participation, of any kind, with that website, but alas, I cannot. I am but one of many of its diehard fans. So, one thing I always wanted to get involved in is jewelry creating. But since I rarely wear jewelry myself, it had to be something that really spoke to me. So when I saw the first button bracelet, I knew I needed at least one of those. I now have two. What next? Well, it would have to be my obsession with Scrabble. 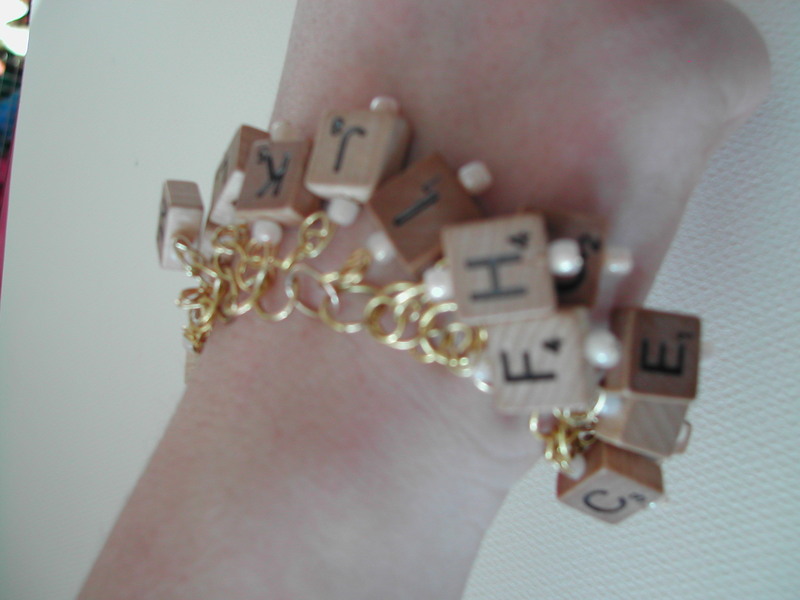 I purchased a Scrabble letter “J” necklace last year and thought it wonderful. Then I found mini-Scrabble tiles (about 1/2 inch square). They are adorable. I actually wore this to work last week. Got rave reviews. So that is it for today. I think I need to work on my photo skills though. The lighting was awfully yellow.